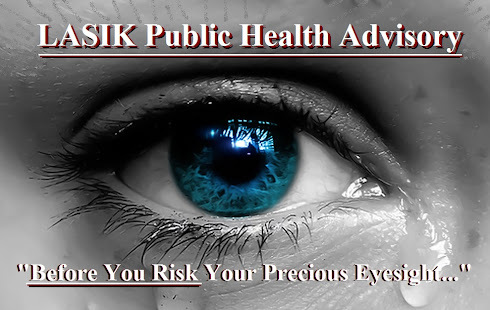 LASIK PUBLIC HEALTH ADVISORIES ISSUED: : UK'S ANTI-LASIK PROTESTS: "OPTICAL EXPRESS RUINED MY LIFE!" UK'S ANTI-LASIK PROTESTS: "OPTICAL EXPRESS RUINED MY LIFE!" 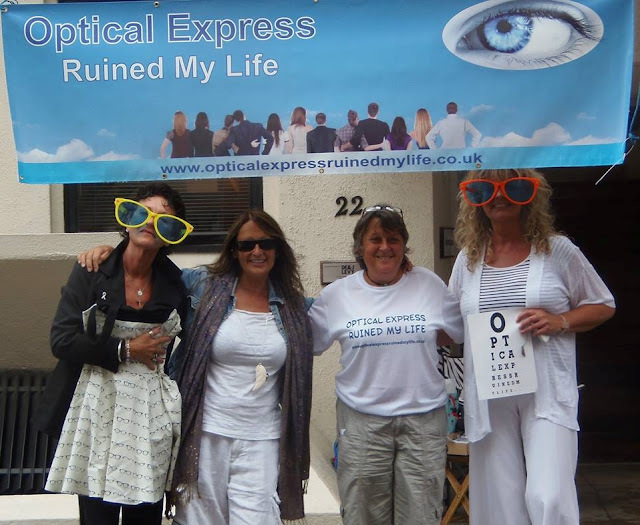 "Optical Express Ruined My Life..."
What a post this is for eye surgery! I really see this site and hope there is the best information put on perfectly. Optical Express I have been wearing specs since my teens and the thought that I might never require them again is alien to me, yet that is unequivocally what appears to be going on – as you read this I am recuperating from laser eye surgery. ICL "Intraocular Contact Lenses" Which Will Be The Next Round Of Corruption By Ophthalmologists! CLINICAL STUDIES SHOW LASIK WILL NEVER BE SAFE...EVER! Dr. Ed Boshnick Helps Many Post LASIK Casualties Find Hope! PRESENTED BY CRI NEWS, INC.. Simple theme. Theme images by Bim. Powered by Blogger.